This is one of many variations of my favorite breakfasts. 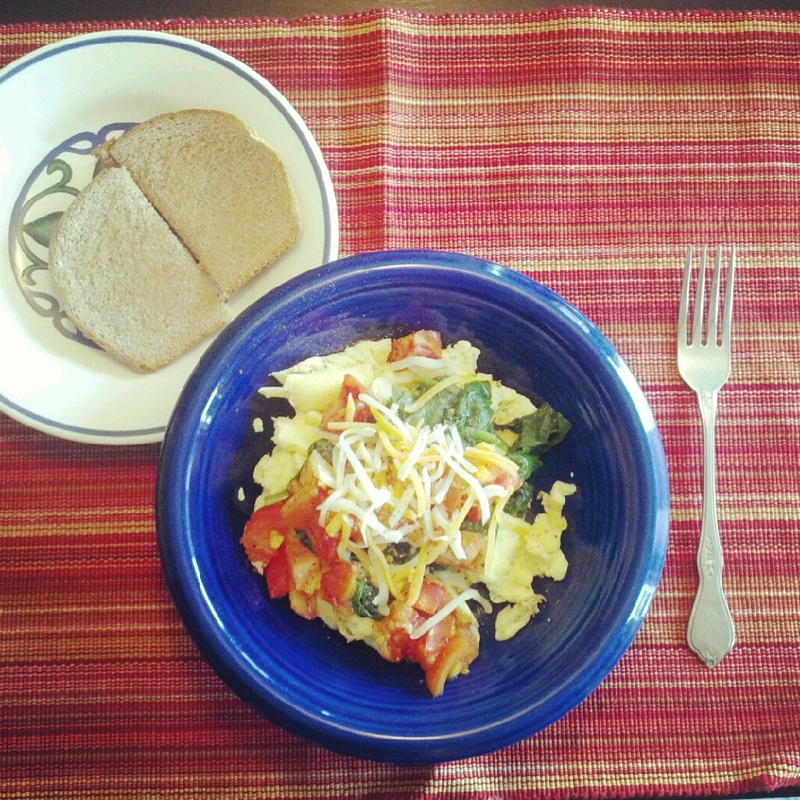 When I’m not having Shakeology for breakfast (I’ll probably have it for lunch today) I like to scramble myself a couple of whole eggs plus 2 extra whites (more protein) and top them with a little organic spinach, some tomatoes (these are heirloom CSA tomatoes) and a spattering of reduced fat cheese. This particular meal was completed by a heel of whole wheat toast leftover from my kids’ breakfast (couldn’t let it go to waste!). You can have your vacation and your workout, too! 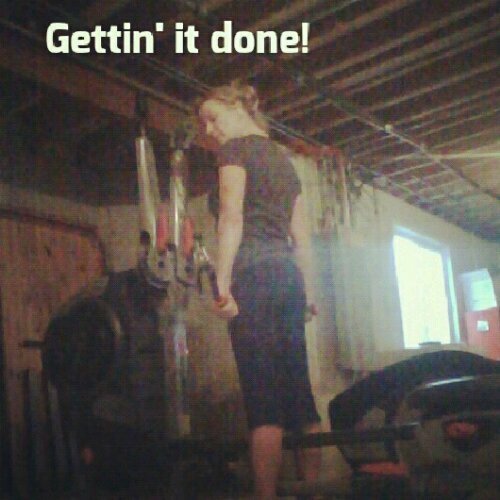 Found a Bow Flex, a 30 pound dumbbell, a 12 pound medicine ball and some perfect push-ups in my friend’s basement. Add that to a power-walk to the post office with a bff…and my workout is checked off for today! Yay me! Road Trip!! 1 laptop, 1 tablet, 1 mp3 player, and 2 smart phones (plus 4 sets of headphones) to keep the kids occupied for 5 hours. What ever happened to “Slug bug, no slug-backs”? That was so much cheaper! Going to do my best to stay on track with diet and workouts. 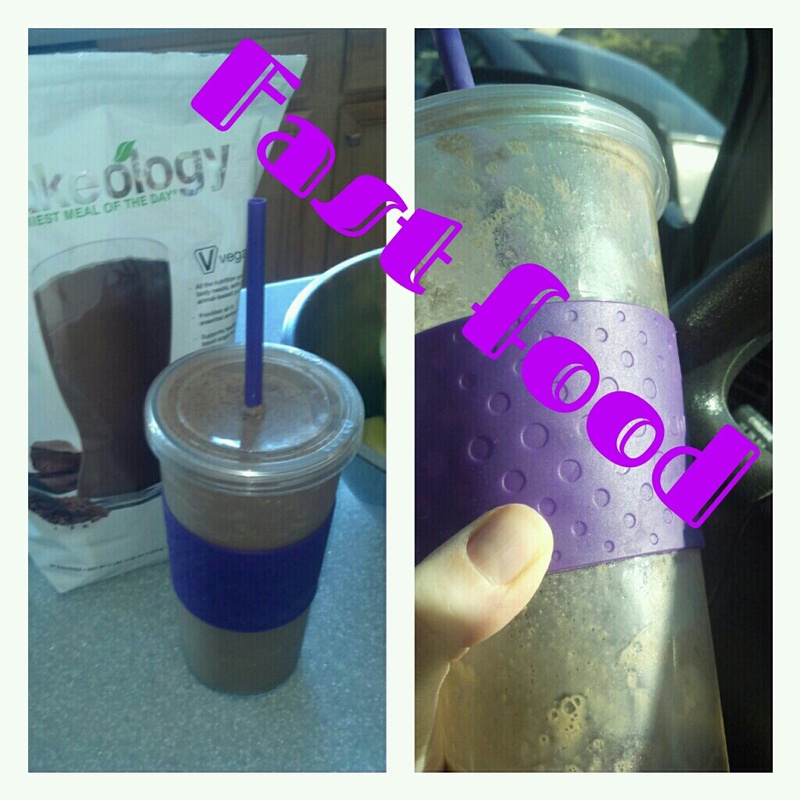 I even brought my Shakeology along just in case. I also packed my running shoes and workout clothes. Wish me luck! It’s hard to explain how good you feel when you’ve given something (anything) all you’ve got and finished! It could be a career goal, or a financial goal, or just a simple 30 minute workout. There is no sense in doing something with 50% effort…you might as well not do it at all. You’re either all in…or not! Right?! Can I get an amen! I just feel so good when I’m done working out, knowing that I tried my hardest. I may not always be able to do everything that the bouncy, crazy, Energizer Bunny lady (a.k.a. 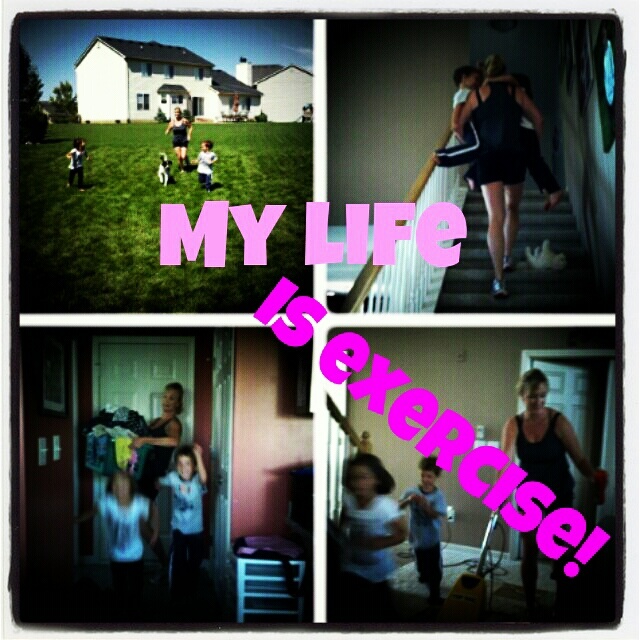 Chalene Johnson) is doing…but I do what I CAN do until I can’t do it for one more second. And then I collapse in a puddle on the floor. 🙂 And then…grab a snack. I earned it. 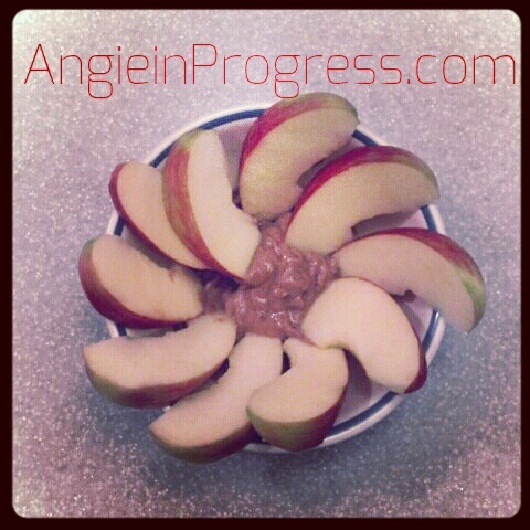 Here is my snack: Honeycrisp apples dipped in chocolate PB2 (made with yogurt & a little water). Delicious! I have always been a smoothie person. Until recently, in order to make sure that I was getting ALL of the nutrients I could possible pack into my smoothie I would get out ALL of the following: kale, spinach, almond milk, strawberries, banana, blueberries, pineapple, chia seeds, protein powder and ice! Now I get out a bag of shakeology, ice, almond milk (or regular milk) and maybe a little PB2 (or just regular peanut butter). The best part is I’m getting more nutrients than I was before, and it actually sustains me for 3 or more hours! I can blend it up, pour it up and drink it up in less time than it used to take me to locate all of the ingredients I needed for my previous smoothies. WINNING! So I’m doing Chalean Extreme workouts and alternating with TurboFire. I honestly can’t believe what a good workout I am getting. I’ve been a runner for years, but these programs are so challenging! I think maybe it’s just new for me, and so my body is kind of freaking out a little. That is a good thing! My muscles are confused and so am I (most of the time…lol). I come upstairs when I’m finished and scare my husband and children. I am literally a hot mess! A hot SWEATY mess! Last night I opted for a treadmill workout. I LOVE that I can watch Netflix on my Nook while I walk/run up steep inclines. It helps pass the time. 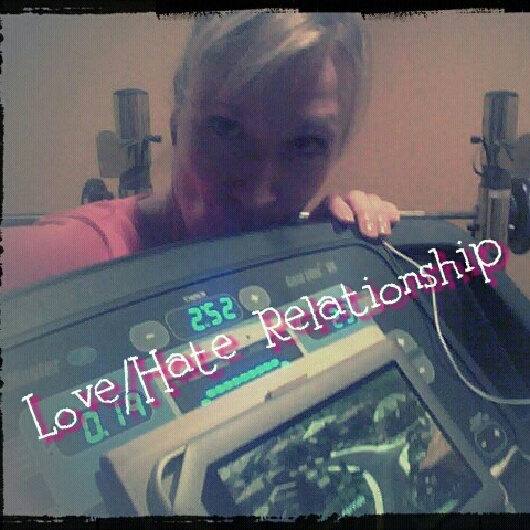 But I truly love to hate, or is it hate to love, my treadmill. It’s a PaceMaster…and it’s a really nice one. We had to have a nice one since my husband and I were both training for marathons over the last 10 years. Sometimes it’s a necessary evil, like when it’s too cold or too hot outside. Other times I actually look forward to it. For me, it’s all about mixing it up. It’s good for me physically and mentally to keep rotating my fitness routine. After the treadmill, I did ChaLean Extreme, Extreme Abs. I love that workout! It’s very challenging, but I don’t hate it. 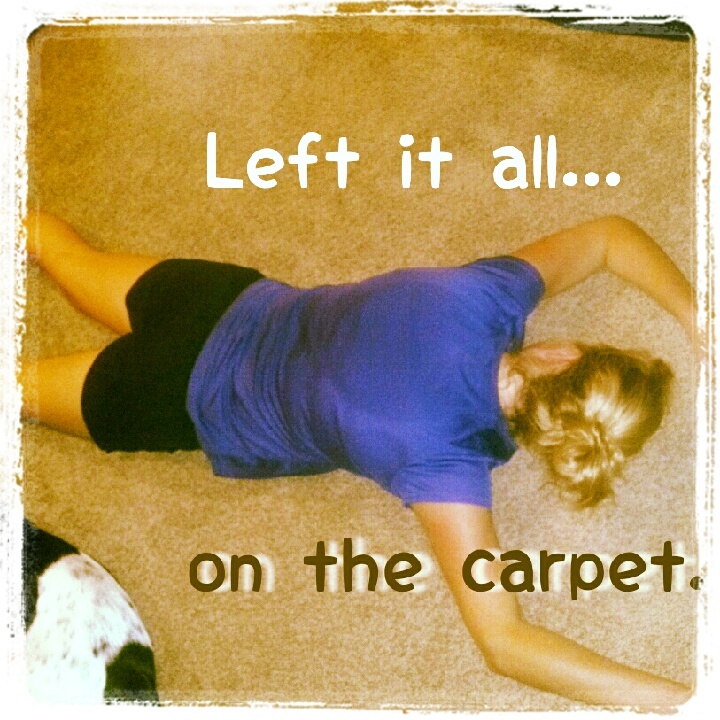 When I did p90X…I grew to hate Ab Ripper. I guess you’d hate anything that you did almost 90 times in a row. UGH! It’s a challenge everyday to fit everything in! 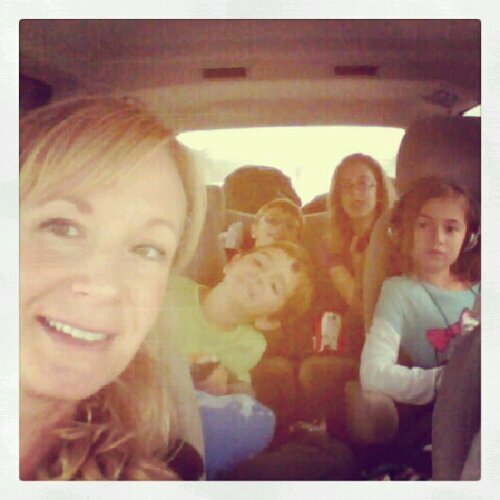 As a mom of four, I am forever busy! We are always on the go to lessons, practices, classes, etc. etc. Add that to shopping, cleaning, cooking, etc. etc…WHAT ABOUT ME?! I wake up most everyday, put on my workout clothes and hit the ground running. I don’t often get my workout done in the morning…I’ve never been a morning person. I also have always had some low blood sugar issues, so I feel like I can’t workout until I’ve eaten a little something. By the time I eat and digest…the morning window of opportunity has passed. I usually end up fitting it in after dinner. The kids are busy playing with friends or busy doing something…and it’s my opportunity to have about an hour to myself. I truly enjoy my workout time, because it’s the one hour a day where I truly just focus on ME! It’s the one time of day I ask the kids to let me have the space and time to get it done. I like to put on my headphones and focus on the tasks at hand. When I’m done…I’m re-energized and ready for the evening routines: getting kids ready for bed and such. 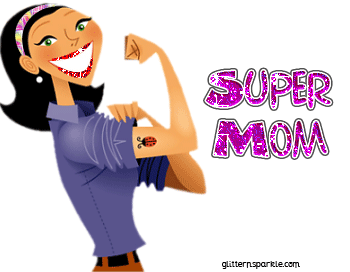 And finally…I can relax and spend some time with my husband, review the busy day, plan for tomorrow, or watch a game or some news on t.v. I feel better and sleep better when I carve out that “Me”-time, and everyone in my family benefits from it! Trust me. 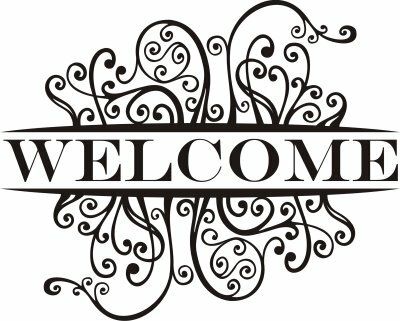 Welcome to my site…it too is a work in progress. I am so thrilled to have this forum to share stories, tips, ideas, questions and thoughts that might motivate, inspire, and move us all closer to our health and fitness goals. I am learning so much through this process, and am excited to pay it forward!